Choose your own adventure in Osaka thanks to this fully-customizable 8-hour private tour. 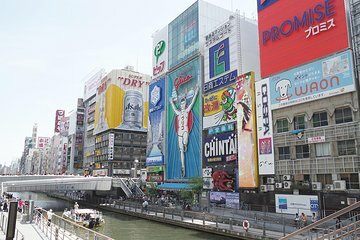 Travel aboard your very own chartered bus, limo or van as you explore a range of of Osaka’s most unique sights. Depending on your interests you might visit historic Osaka Castle, explore Shitennoji Temple, eat and drink your way through the Dotonbori district or take in the views from the Umeda Sky Building. A driver, chartered vehicle and round-trip transport from Central Osaka are included. guide is very nice but sometimes hard to understand. Our Osaka 1/2 day tour was great. I am a handicapped person and our tour guide surprised me with a wheelchair unsolicited to help me through the tour which required alot of walking. In addition, our guide pushed my wheelchair the whole way! Pretty awesome.